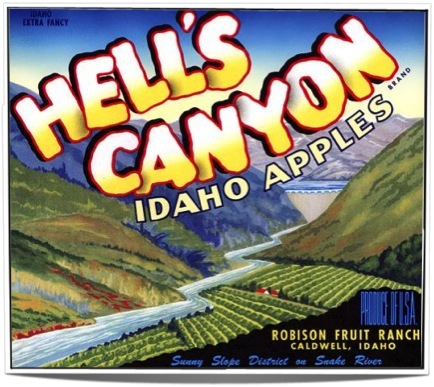 What I love about items from the 40’s 50’s & 60’s is that they really put their all into design and quality and fruit crate labels are no different. I have always had a thing for these labels. If I had a kitchen I would frame these prints because of their bright colors and the feelings they conjure when you look at them. The fruit producers made so many kinds of labels on these crates and a lot of them are in rough shape but you may be able to find some that have not been used. The introduction of the railroad led to the national distribution of crops in the United States. With the growth of interstate railroads in the 1860s and then the introduction of refrigerated cars in the 1880s, growers at wholesale markets used labels to distinguish their produce from that of the next farmer. 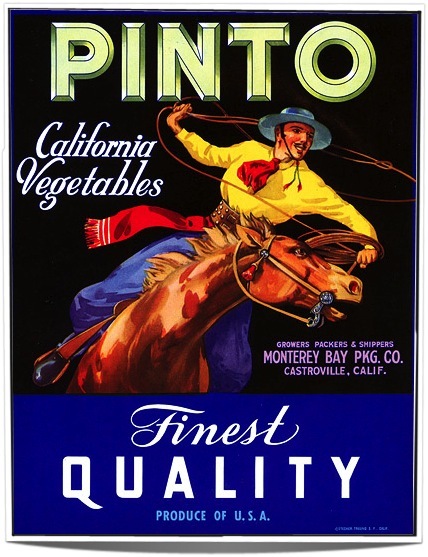 Most crate labels were produced by California or Florida growers, because that’s where most of the nationally exported boxed fruit and vegetables were grown. Still, that doesn’t mean you won’t find crate labels representing just about every state in the union. Louisiana had sweet-potato labels, Texas had vegetables and grapefruit. 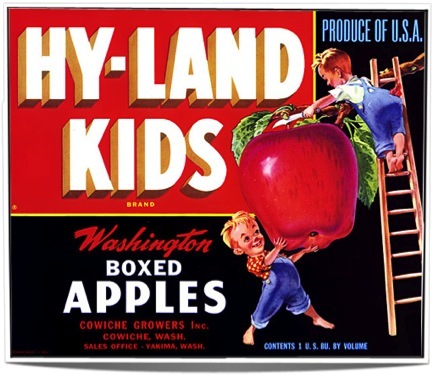 Massachusetts had cranberry labels and New York had apple labels. However, you won’t find crate labels for crops that were distributed nationally in bags, such as potatoes. 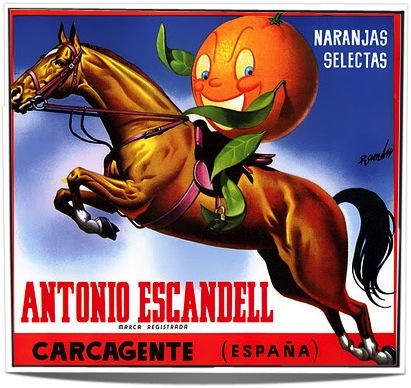 While the product was always edible, the labels did not always have agrarian themes. 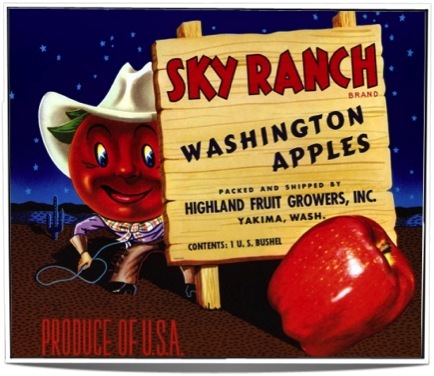 Some of the growers used pictures of their children, their homes, their pets, historical or biblical references, or their favorite sport, the variety of subjects depicted is truly remarkable: a baseball player is depicted on “Safe Hit” Texas vegetables; “Tie-it-on” pears from the Upper Yakima Valley featured a running-dog label; Mariposa Fancy Northwestern Apples shows the Mariposa butterfly. 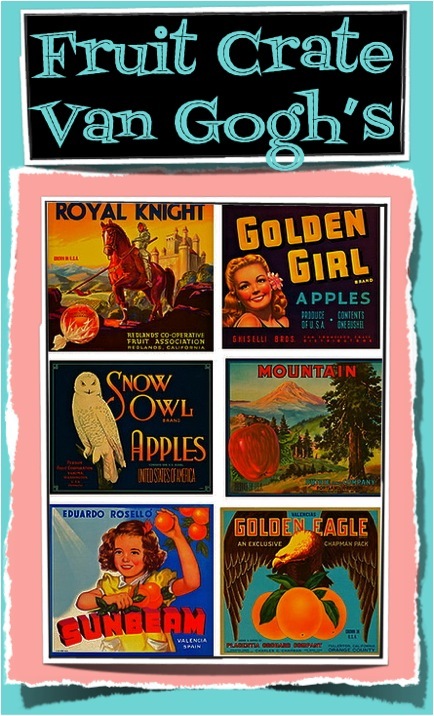 Collectors are often drawn to these labels by their vibrant colors. 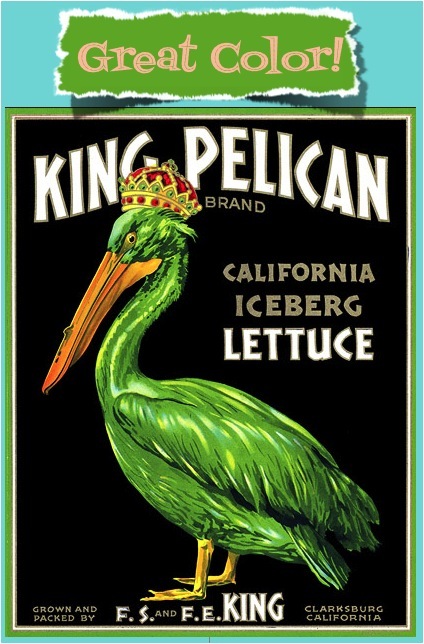 Crate labels made in the early decades of the 20th century often used a 12- or 16-color lithographic process, which rendered them far more subtle and richly hued than the four-tone advertisements typically seen today. They all had their own ways to get their colors looking different. Secret ingredients in the inks made colors which no one has been able to duplicate today. Tobacco juice is one unusual ingredient printers used. In Florida and other states, the different colors would indicate to grocers buying wholesale different grades of fruits and vegetables. The size of a label varied with the size of the box it was printed on. Each fruit or vegetable crate had its own peculiar dimensions, which standardized their labels. The size of each label corresponded to the square size of the end of a box. 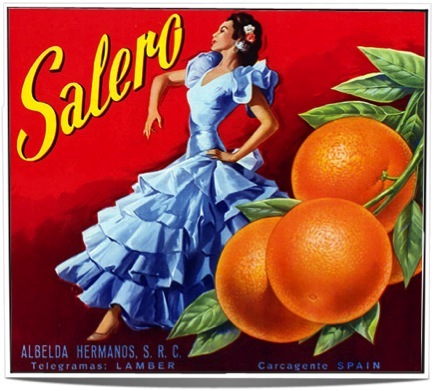 For example, orange labels were typically printed 10×11 inches; lemons, 9×12 inches; grapes, 4×12 inches; and so on. 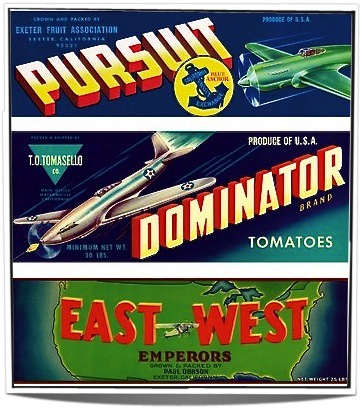 Today’s enthusiasts are most likely to find labels from the 1940s and 1950s. If you find anything before the 1930s, you’re doing well. Manufacturers made fewer wooden crates during World War II, when wood was diverted to other purposes, and then in the post-war era, when wooden boxes gave way to cheaper cardboard ones. And as wooden crates disappeared, so too did their characteristic labels. 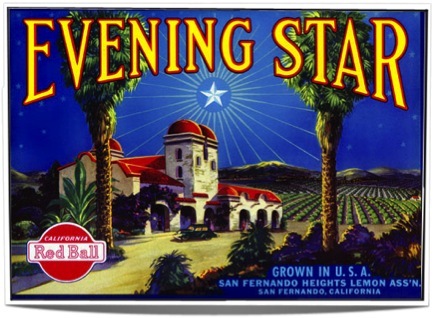 People began collecting crate labels in the 1960s and 1970s, when many California farms gave way to California housing developments. Unused stacks of crate labels from printers and former growers found their way into the collectors market. As with so many collectibles, the most valuable labels are the ones that are rarest and in prime condition. If they’re still on a box they’re usually in bad shape, because they’ve probably been kicked around. If you have to soak a label off a box, it looks horrible. Labels that never found their way on to a crate end are the ones that have survived in mint condition and are worth more. Some images, such as sports depictions or cute children, are also more valuable than less appealing images. 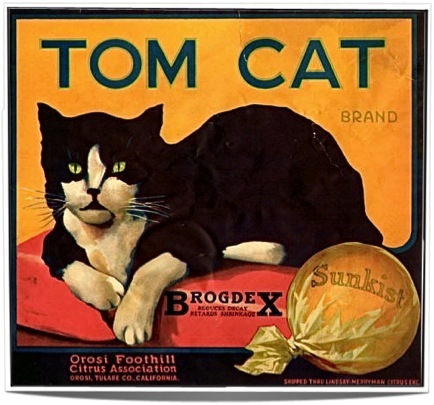 One of the most sought-after labels is the “Tom Cat,” put out by Sunkist, featuring a black and white cat. 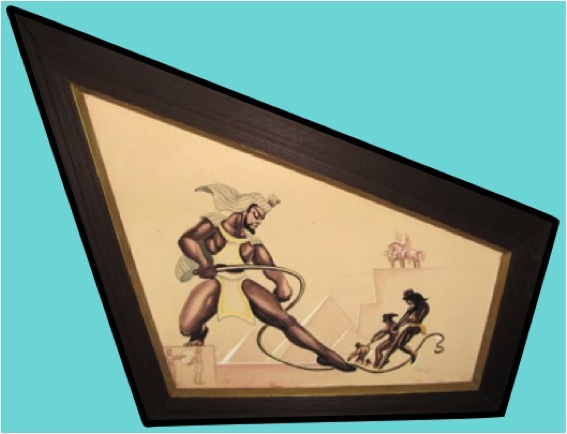 Collectors will pay hundreds of dollars for its combination of rarity and desirability. The rare ones are always going to be worth more. But you don’t have to buy the high-end ones to enjoy them. So as you can see, the colors, imagery and over all styling make these very eye-catching. 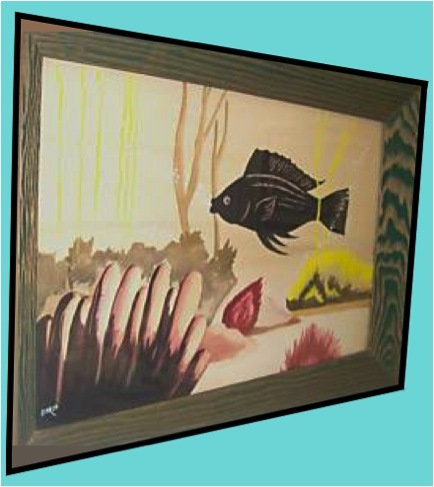 If you want a unique way to decorate then keep your eyes peeled to see if you can find some of these to adorn the walls of your kitchen. 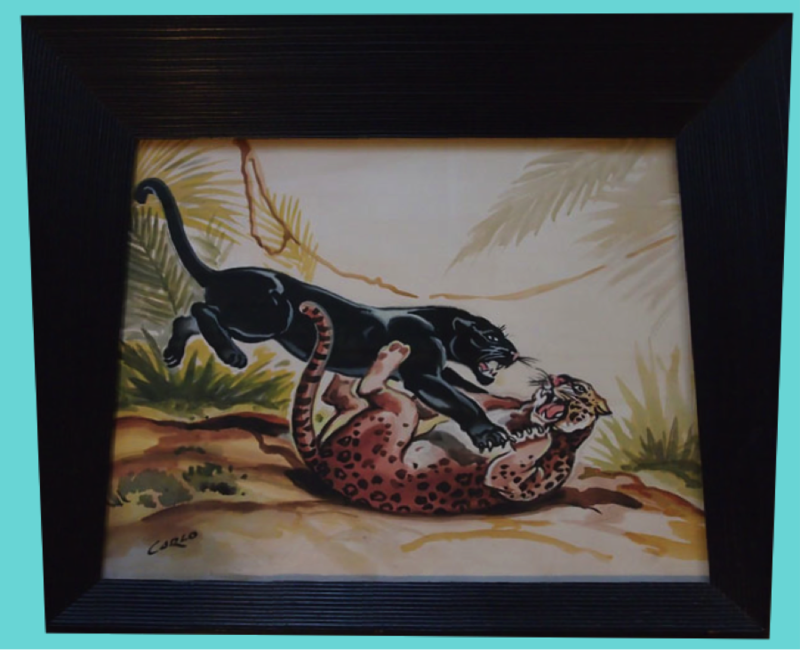 Gorgeous artwork wasn’t it. And to think there were NO computers with graphics involved. Pure & beautiful work by someone’s hand. I know. I think the effort that went into these labels is over looked as art.